FUN FACT: If you stretch a standard slinky out flat, it measures 87 feet long. 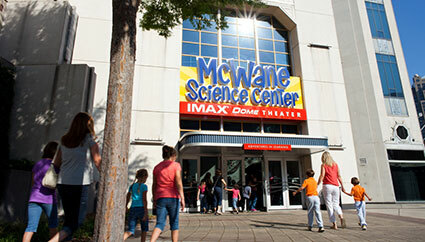 "McWane Science Center means knowledge because every time we go there we learn something new." "This was our first time purchasing a membership. We will be back often. The kids loved it and it's great to have a place to go where they get excited to learn. Keep up the good work!" "Its a time for us to come enjoy ourselves with the entire family and experience all the fun activities"